KMT Waterjet STREAMLINE High Pressure pumps for waterjet cutting are built for the best possible reliability as well as simple and quick maintenance. Yet even the best product can be made more efficient or easier to maintain if you use intelligent accessories to support the pumps performance. 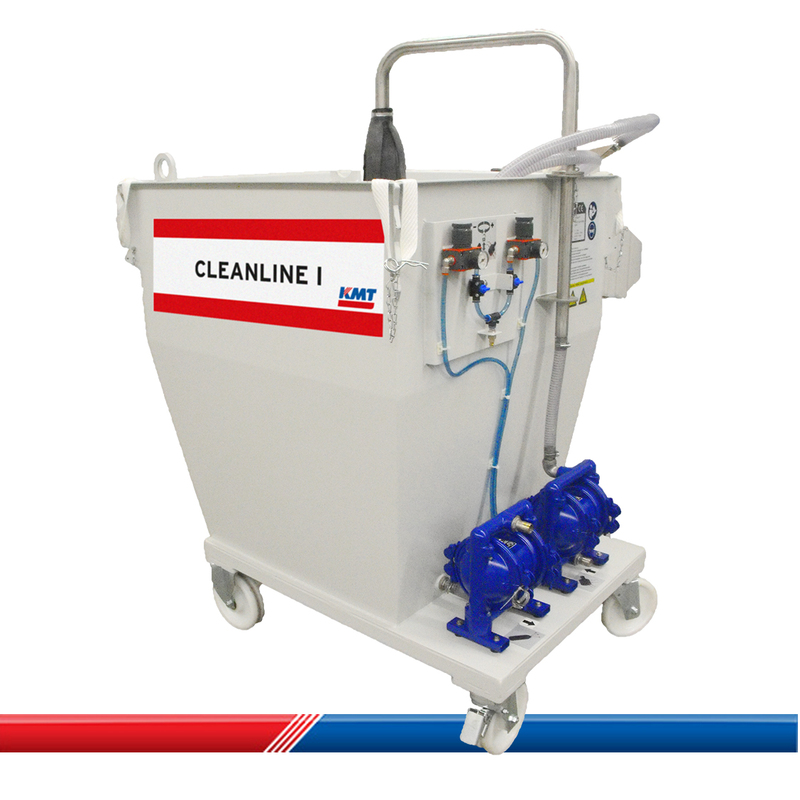 Ranging from systems for a constant and steady cutting water supply to installations which allow for the maximum efficiency of your pump network to desludging systems for cleaning cutting basins of abrasive cutting systems, KMT offers a variety of products to boost the performance of your waterjet cutting machine. Additional production volumes often require an expansion of pump capacity. 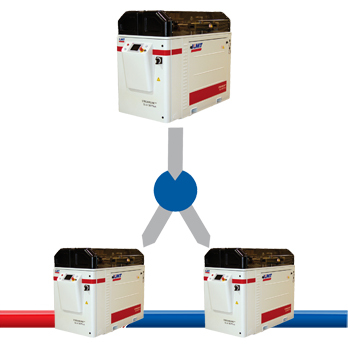 As an alternative to the purchase of larger pumps, the load balancing stroke control system allows for an interlinking and efficient operation of many STREAMLINE pumps in a pump network. Especially production facilities with multiple high pressure pumps and cutting stations working in an independent fashion can benefit of the many advantages of such a pump network. The steady cutting water supply of high pressure pumps is a significant factor when it comes to the reliability and economic efficiency of a waterjet cutting machine. 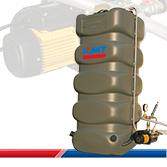 The BOOSTERLINE cutting water supply system is KMT‘s innovative solution to guarantee a constant inlet pressure of the cutting water for ultra-high pressure pumps. The constant supply of water to the ultra-high pressure pump through the BOOSTERLINE system prolongs the service life of wear parts in the intensifier. The maintenance interval of the intensifier and the downtimes of the cutting unit are reduced as the high pressure pump is operated at ideal conditions. STREAMLINE™ high pressure pumps should be operated at a constant inlet pressure of 3.5 bar. Where pressure fluctuations occur in the public water supply, the BOOSTERLINE water supply system guarantees a steady volume flow to the high pressure pump. The system is automatically switched on and off, depending whether the intensifier is activated or not. Thanks to the fully automated operation, the BOOSTERLINE is very easy to operate.